Let’s say you’ve been itching to give our system a try, and you’ve even made your mind about a promising partner but you have no clue how to introduce them to it. One thing you can do is to forward them the link to this article. Or the other way around – you’ve been asked to become a goal buddy but this time it’s you who is completely “ignorant” on this intriguing subject. Keep reading then! 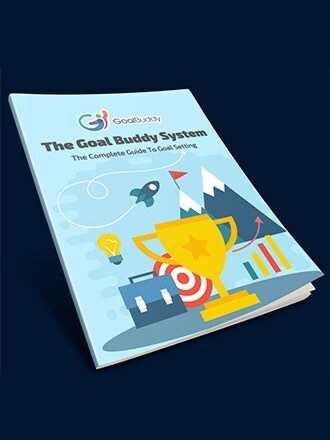 You do that and these few pages will reveal “Goal Buddy” in its essence as a powerful system which once applied correctly and in full will make it almost impossible for you to fail. First of all, it’s nice to be flattered, right! is convinced you’ll make an exemplary practitioner of our system. Has your self-esteem just reached peak levels? Well, that wasn’t the idea. It was to open the door for you. You’ve got no time for it. Very few are those who can boast a great record with goals but the topic is one that everybody can readily talk about for hours. What makes our objectives so fascinating is the fact that they are inalienable part of our daily routine. You have to set goals for anything you do in life, regardless if you do it subconsciously or not. It would be regrettable if you keep chasing what at end proves not to be exactly your thing. Our system opens a new perspective before you so that you live in a happier and more fulfilling way. But only if you know for sure what you want and your goal setting is genuine. We believe that realizing your intentions is not a talent but a skill that needs to be honed and taken care of. There are certain rules and practices that just have to be followed. They are at the core of our system arranged in a highly productive manner. We can give you 100% assurance that if you practice “Goal Buddy” properly then you will do quite well in any objective you set your eyes on. Are you ready now to learn more? There is nothing complicated here – only two basic components. The “technical part” is based on our realization that there should be 3 types – long-term (25-year) vision, 90-day goals and small weekly steps. One must have a crystal clear idea of ​​where they want to be in the next 25-30 years. That is, to build a long-term vision of the most important aspects of your life. It’s entirely up to you how to identify and describe these, be that family, personal finances, career, health, spiritual development, and so on. The vision for each one will give you the focus and confidence that everything you do is having a positive affect on them. You can get much closer and faster to the finish line by applying consistently short-term strategies such as the 90-day goals. Not yearly or SMART goals, but quarterly and oriented to your own action instead of towards the end result. To work on these is remarkably easy by doing just one small weekly step for each of them. And then everything, even the craziest or the hardest, can be done but there can’t be any doubt what you want. You set a three-month target and do something every week until you get it. In the process of this you use the power of small accumulative actions. And soon it will dawn on you that you’ve begun succeeding in almost everything you undertake. There are only two things for you to do. One is to start and then not to stop. The basic concept is the social aspect which makes it stand out. That’s why it is so attractive to people and, we dare to claim, phenomenally effective. The novelty is that the two friends are equal partners in a relationship. Having such a powerful allay next to you is one of the top reasons not to drop out of your goals like most of the rest (as a matter of fact, 94% of people do give up!). You will learn a lot more about it by reading further. How you help each other? Do they do anything at all? You bet! They must be fully in the loop of all your visions, objectives and weekly steps which is a prerequisite for making sure you to stay on top of them all. And how so? At moments of uncertainty or temporary setbacks, their encouragement to locate the cause all by yourself is indispensable for making the right decision. There is no judgment but a friendly helping hand. When you revise your goals and develop strategies to undertake, they are your co-pilot and navigator. You are together when down and when up. That’s the kind of human being with which you are convinced you can build a long lasting partnership. Let’s get a little bit deeper here. It’s very important to make your choice according to the following principle: can you talk to them about anything? You have to be able to answer whether you are willing (not on your first meetings but eventually) to share all your aspirations – professional and personal, the trivial as well as the grand ones. If your answer is anything like “I kind of like the idea, but no, I can’t do that,” then spare yourself the trouble. They can’t effectively be of much assistance if you keep them in the dark, can they! You’d better get used to sharing the goals with those around you. No doubt, there will be moments of the inevitable and not so positive attitude just like in any other relationship. However, there will be many more instances of positive feedback, good ideas and new encounters. Don’t shy away from any opportunity because you never know how things can turn out. Notwithstanding all we’ve just said, it is crucial to emphasize the following. Just like your vision is about the future, so must your partnership last as much. The intent is to be side by side on the long road to accomplishments. And it doesn’t end in 3 months or in December. Right? You shouldn’t feel any discomfort about that. Better kick it off with the belief and conviction that you want and will be developing the relation beyond the mere expedience of it. That doesn’t mean you can’t do a trial run first, for example a test period of 3 months. If it works fine then go for it full steam! We can’t guarantee you will hit the jackpot but don’t forget what’s at stake here. The reassuring feeling that someone has your back and provides unconditional support can do miracles for you and your confidence. It will start turning things around into the direction of self-reinforcing success. But enough with the theory. Let’s see how the two of you can put it all to practice. This is the most serious and demanding of the commitments since it is on a regular basis – 20 minutes for each weekly meeting, or the more convenient phone call instead. Don’t be jumpy now! This is less than half an hour which is well spent if it safeguards against any mishaps and brings in irreplaceable moral support. During these you make an expose of what you’ve done the previous week and plan what is coming for the next one. The routine is as follows. Your partner poses that type of questions that improve on the understanding of your behavior so that overcoming difficulties and drawing conclusions become your own personal win. And then the roles are reversed, you return the favor – you listen, you ask, you help. The time allocated is more than enough and it isn’t what you should be concerned about. Your action is. Of course, a nice talk and exciting exchange of ideas are more than welcomed but to do the hard work on your steps is the biggest promise to keep. Plus, you have to do your other type of homework for the meeting, i.e. be prepared for it. There is a good reason for the expression “talk is cheap”. You have to find the time and energy to make the weekly step no matter how hard it might be because even the tiniest effort on the smallest one will move you forward. In the perfect world of “Goal Buddy” before you get to the 90-day action goals you should have a ready vision for them. But if you have only some vague desire for change, it shouldn’t be such a worry. You simply go ahead with your goal and by the end of the quarter there will be a good chance that they will put you on the track to your next 90-day one. 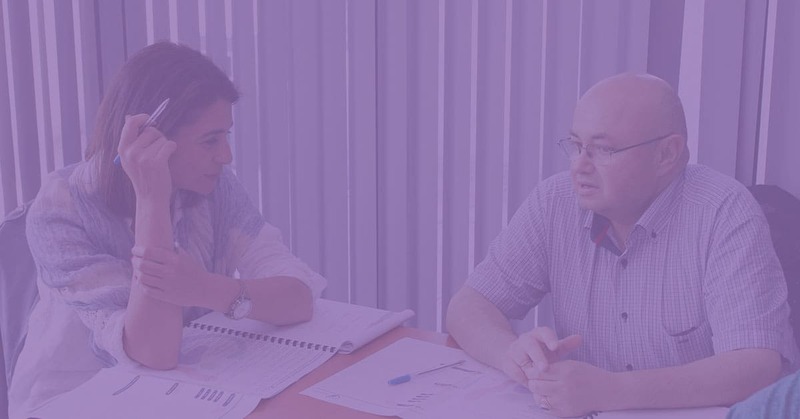 There we come to the second commitment – to meet for a couple of hours once every three months in order to assist each other in formulating your next goals. No wonder that the same applies to the vision. In case you aren’t in a possession of a vision which is fully shaped and clearly formed in your mind then follow the natural course of things. And at the end of the year, presumably with four quarterly goals under your belt, there will be an obvious trend. It will indicate what your yet unnamed dream might actually be. And that’s how you end up with a vision truly of your own making. The annual meeting is the perfect time for vision review. You can rewrite it, or change it, or drop it altogether and replace it with another one. The important thing is to invest this one day in determining in what direction you are making progress. It’s only sensible to do so since you don’t want to find yourself far and off when it’s too late, isn’t it? In that lies the strength of our system, it is balanced – you don’t just fly high up in the clouds without taking action down here on Earth; nor do you take too many roads in different directions. In “Goal Buddy” it is you who sets the direction as well as the actions while the Buddy is the one who makes it possible that you get back on track when needed. The time has come to decide first, whether the framework of our system is clear enough for you. If so, then next is whether you are already convinced by it. And finally, will you click with the person, who invites you to go together on this journey. The price tag will be high, though. It will take talking often and be part of the long-term relationship. The bottom line in all of this is that you will earn something priceless – a life transformed by success and satisfaction. If you are excited by the challenge, check out what’s next. First, you and your Buddy have to agree on date, time and place for the first meeting. And if it turns out to be good for both of you then it must become your regular “date”, every single week without any exceptions. Second, prepare yourself by trying to formulate a weekly step – an action that will result in an achievement. Even if you do not have a grand plan or anything specific right now, don’t let this slow you down in any way. Maybe start with couple of things you wanted to do for a while. And thirdly, check out what’s on our site. For starters, go through these articles where we talk in detail about vision, goals, and steps. It will be interesting and you might learn about some of the problems in this partnership. We are excited to welcome you to the club! You are in it for some great experiences and intriguing, totally new avenues of going forward. We will be glad to be able to follow up how things progress between you and your partner. But also to help if any need, of course. Don’t hesitate to write back at any time! Subscribe and thus stay well informed of what’s new in terms of themes and discussions. Much success! Whats the price of joining the buddy team?